The Isobelle Carmody Announcements Thread! Welcome to the Announcements thread, where we'll bring you the latest updates on Isobelle Carmody's book releases, appearances, and news! If you have any news you'd like to share, please submit it here, or PM it to Elspeth, or email it to -email-, or tweet it at @obernewtynNET! A list of all the most commonly asked questions regarding Isobelle Carmody and her books. A collection of interviews with Isobelle. Where not Obernet exclusive interviews, approval has been gained from the interviewer to replicate. Below is a running list of news items on Obernewtyn.net that might be of interest to anyone seeking Isobelle Carmody News and Announcements. The date referenced beside each news item is the date it was posted on Obernewtyn.net. Detailed write-up of the Melbourne Writers' Festival (including many an Isobelle catch-up) - 22-24 August 2009. Transcript of coffee catch-up with Isobelle (from SWF, 23rd May)! - 10 August 2009. Isobelle gifts signed copy of the new release of The Gathering to Obernet (enter the comp)!. - 2 August 2009. Isobelle at Camberwell Dymocks on the 30th July (bookings essential) - 16 July 2009. Including: Isobelle's pending appearances in Adelaide, Perth, and the Melbourne Writers Festival, plus a couple of pictures (Bologna Book Fair, and Czech cover of Darkfall). Including: Isobelle telling us there's a new type of Talent coming in the Sending. You can read Isobelle's actual revelation of this here in Issue 03 of our online newsletter. Includes: Isobelle reading sections of The Stone Key; transcripts of the video readings; a sneak-peak part of a chapter. Isobelle will be appearing at both the Sydney Writer's festival, and the Melbourne "Reading Matters Youth Day" in May. Isobelle Carmody will be part of the Secondary Schools Program in the Sydney Writers Festival in May this year. Secondary School Days will be coming to Sydney Theatre at Walsh Bay on Tuesday 19 May, and Riverside Theatres in Parramatta on Wednesday 20 May. For more information on the Sydney Writers' Festival School Days, click here. Thank you to Zieria for providing this information. 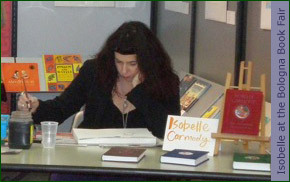 On Thursday, the 28th of May, Isobelle Carmody will be part of one of the Youth Day sessions (with three other writers). It's only for students from grade five to year eight, though... but if you fall within that group, try and get to the session! The session is part of the Reading Matters Youth Day. For details, check this thread, or find out more about the Centre of Youth Literature Program here. Thank you to Bunne for providing this information. Insightful and outspoken, teenage fantasy and speculative fiction fans know what they like and like what they know - as well as what shakes them out of their comfort zone. 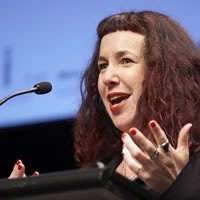 Join two of the world’s leading and most popular fantasy writers Garth Nix and Isobelle Carmody and find out how they go about the business of creating new worlds from old - and old worlds from new. They speak with young adult literature expert and fan Judith Ridge. For updated information on Isobelle's appearance in the School Days Program, click here Or here. Not sure of exact details or programs currently for Perth or Melbourne but we'll update here when we've found out! Scouted by Zieria, and posted on Obernet with approval from www.fantasybookreview.co.uk . Isobelle's done a recent interview, and the wonderful people at FantasyBookReview have given permission for us to add it to the Interview's section here on Obernet. In the interview, posted on the 18th June 2009, Isobelle talks about her love of animals, her childhood, when and how she first considered being a writer, and of course Obernewtyn. It offers a wonderful insight into the relationships of the characters we love so much. A wonderful read (and a wonderful find, Zier!). Click here to read it, and again many thanks to Lee, Josh and everyone else at FantasyBookReview for letting us include it on Obernet. 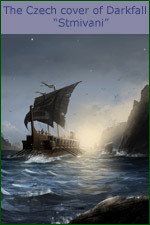 photo from www.fantasybookreview.co.uk. Next to Dymocks Camberwell in The Well Shopping Centre. More information is available here on the Dymocks Website. Thank you to Seagullia for providing this information. Isobelle's next children's book, Night School, has a release date: 1st February 2010! It's illustrated by Anne Spudvilas, and is about a group of children who spend a night inside an old school (while Paul and I were in Prague in 2007 Isobelle told us that this is actually based on a sleepover night that her daughter had at her school). To read more about Night School and see the cover, click here. 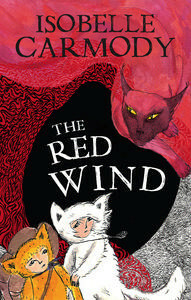 Another children's book by Isobelle - The Red Wind has been given a release date by Penguin: 28 June 2010. The Red Wind has been both authored and illustrated by Isobelle. You can check out the info Penguin has listed on it here. Thank you to ISOBELLECARMODYROCKS for providing this information. An update from our Penguin contact Sharlene this morning, regarding The Red Wind, including cover image :) Here is the latest from Isobelle and Penguin about her new series The Kingdom of the Lost, a magical new series for younger readers. This first book is called The Red Wind. Brothers Zluty and Bily live happily in their little house in the desert. Every year Zluty journeys to the Great Forest while Bily stays to tend their desert home. And every year Zluty returns with exciting tales of his adventures. But then a devastating red wind sweeps across the land destroying every in its path. And each brother must fight for his survival... more info from Penguin here. Some of you would have already seen Isobelle Carmody's post yesterday on her Facebook wall where she answered four writing and publishing questions, but for those of you who haven't seen it yet - view the Q&A here: Isobelle Carmody answers writing advice questions on Facebook. 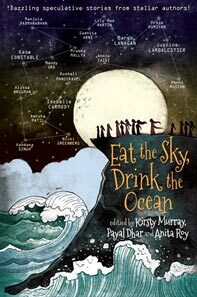 There's a new anthology being launched in Dehli this Saturday by Isobelle and a number of other contributors, for the Zubaan Books publication Eat the Sky, Drink the Ocean, which contains works from twenty writers and artists from India and Australia, including six graphic stories. Isobelle's contribution is a graphic novel called Runners, and you can read the full news article about the book here: Eat the Sky, Drink the Ocean, a new anthology featuring an Isobelle Carmody graphic novel. Isobelle Carmody will be appearing along with Sean Williams and Phil Brown at Brisbane's Avid Reader this Friday night (28th November) for their Customer Christmas Party. For full details, read this news item: Avid Reader Customer Christmas Party featuring Isobelle Carmody, Sean Williams, and Phil Brown. Isobelle Carmody has announced a release date for the final Obernewtyn book! Mark the date in your calendars: November 12th 2015. We foresee a lot of sleepless nights around that time :). Check out the news item here. Isobelle Carmody confirmed what many of us have been wondering: YES, she has finished The Red Queen, final Obernewtyn Chronicles book, and handed it in to Penguin to publish for the 12th November! Check out the news item here.